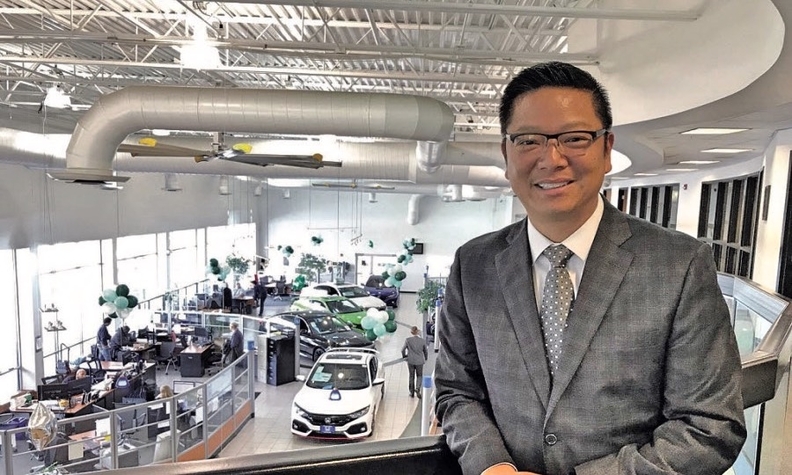 Dealer Joey Huang, a trained dentist, says self-funded health insurance has saved Great Lakes Auto Network more than $1.8 million over six years. When Joey Huang, co-owner of Great Lakes Auto Network in Ohio, looked at the cost of providing health care insurance to his almost 300 employees, he figured there must be a cheaper alternative. What he found — self-funded insurance — has cut employees' premiums by thousands of dollars a year, saved the group more than $1.8 million over six years and helped Great Lakes expand from three dealerships to six, doubling its work force along the way. "The savings for us has been incredible, but I'm more interested in how this has impacted our employees," Huang said. "They have saved money and received better care. That's what we find most rewarding." Huang said he prides himself on analyzing best practices of other businesses — from luxury retailer Nordstrom to other dealerships — and seeing how innovations can be shaped to work in his auto group. He had a particular interest in researching insurance options, given his training as a dentist and familial connections to physicians and other health care professionals. That research led him to IEN Risk Management in Ashtabula, Ohio, where Great Lakes has a Buick-GMC store. IEN offers plans modeled on the Health Rosetta system, a cohort of 110 independent consultants across the U.S.
Advisers work with business owners to devise employee health insurance benefit packages on a self-insured chassis in order to drive transparency among claims, vendors and data, said Bryce Heinbaugh, a managing member of IEN Risk Management. Then IEN Risk Management negotiates with providers to accept substantially lower fees than are paid via Blue Cross/Blue Shield, Aetna and other major insurers. "It was about seven years ago that I decided to look for a better option," said Huang. "At that time we had a plan that cost a family of four $1,400 [a month]. I just believed that was too much to spend." When Great Lakes adopted a self-funded plan in 2012, an employee's cost for family coverage dropped to $800 per month. Today, it costs $980. Coverage, deductibles and co-pays have remained unchanged, Heinbaugh said. The first year the plan was in place, there was a $138,000 surplus in payments. Huang returned the money to employees by letting them skip paying their premium for a month. Employees can choose from two medical coverage options and add dental, vision, short-term and long-term disability, voluntary life insurance, accident and catastrophic coverage. "With this program, the employer pays their own claims via the help of an independent third party administrator and doesn't rely on a Blue Cross/Blue Shield or Aetna to handle it," Heinbaugh said. Great Lakes, which sells about 8,700 new and used vehicles a year, works with an estimated budget for health care claims, with a certain amount set aside in case of a catastrophic claim. The results are significant savings for the employer and employee. Employees were wary of the change, but Huang calmed fears with informational meetings and educational materials. And once employees tried the plan, they were believers, he said, not just because of the lower cost but the increase in benefits. One example is the Concierge Nurse Navigator Program. Great Lakes employees have access to a nurse who acts as a liaison and advocate for them. The nurse's assistance includes help navigating the health care system, including accompanying employees to medical appointments and working with them to ensure they stay on their plan of care. The nurse will even help the patient devise questions for practitioners, find and schedule specialist appointments and relieve logjams in patient care and services. "We are always looking for the best ways to serve both our customers and our employees," Huang said. "Health care costs are a major expense for any auto dealership, so it was one I was interested in decreasing." By switching from traditional health insurance to a self-funded plan, Great Lakes Auto Network has been able to offer better coverage while reducing premiums for employees and the company.